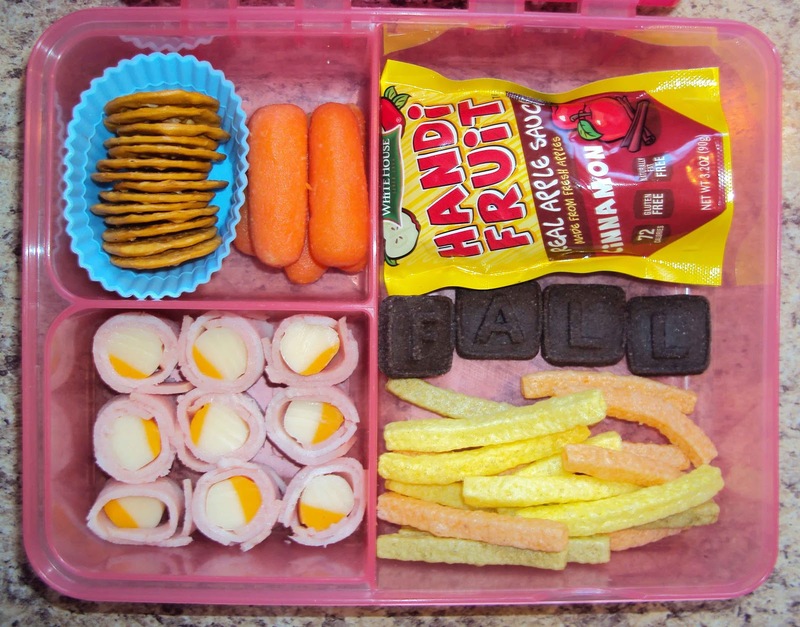 Pretzel Crackers, Carrot Sticks (If I keep putting them in her lunch, one of these days, girly will eat them.... right?! ), Applesauce, "FALL" Chocolate Cookies, Veggie Straws and Turkey and Cheese roll-ups. 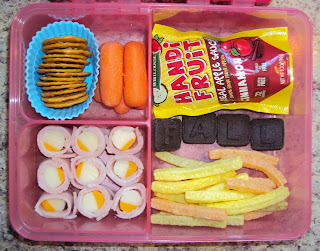 It's another week of fall fun at Preschool, this week, so I did another "fall" themed lunch for Lil' Miss. I hope she eats more of this one than she did the other one! Last time, she came home with most of her lunch untouched. She later finished it, but I think she sometimes gets distracted at Preschool and doesn't want to focus on eating her own lunch.